Yes, I know your journey is anything but comfortable. And while it’s human and natural to want to get out of the crucible of internal transformation as fast as possible, I want to remind you that any short-term strategy to avoid this trial by fire is often counterproductive, if not a complete waste of time. Because avoidance is what got you into the crucible in the first place. For most people, avoidance is our first line of defense against any “problem” in life since the day we’re born. Got pains and traumas? Shove them under the rug for now. Have stress and doubts? Keep calm and carry on. Feel unloved and depressed? Cover it up with a sugarcoat of positivity. We avoid facing our issues/pains/shadows for as long as we can get away with. For the most part of your pre-transformation life, such avoidance is the optimal strategy. Your soul, in its infinite wisdom, knew that you had neither the time/energy nor the spiritual bandwidth at that given time to deal with that particular problem. You had bigger fish to fry. And the bigger fish, for most of us, was to simply survive the moment. In other words, you and your life decided “let’s bury this problem in the subconscious for now and deal with it later when we’re more capable”. And that’s how you landed in the crucible, where things feel either empty or depressing, where you experience so many mixed emotions that you wonder if you’ve gone crazy, where you question if your entire life so far has been a not-so-funny joke. You’re here not by mistake, but by the perfect intelligence of your life. You’re here because you’re finally ready to dust off your past patterns and shift into a new paradigm of living that is optimized not for your survival, but for your freedom, joy, and creative expression. And this “dusting-off” process is what’s causing so much agony. Because essentially the energy imprints from the issues you’ve shelved up in your entire life (and pre-life) are resurfacing into your awareness and trying to gush out of you all at once. 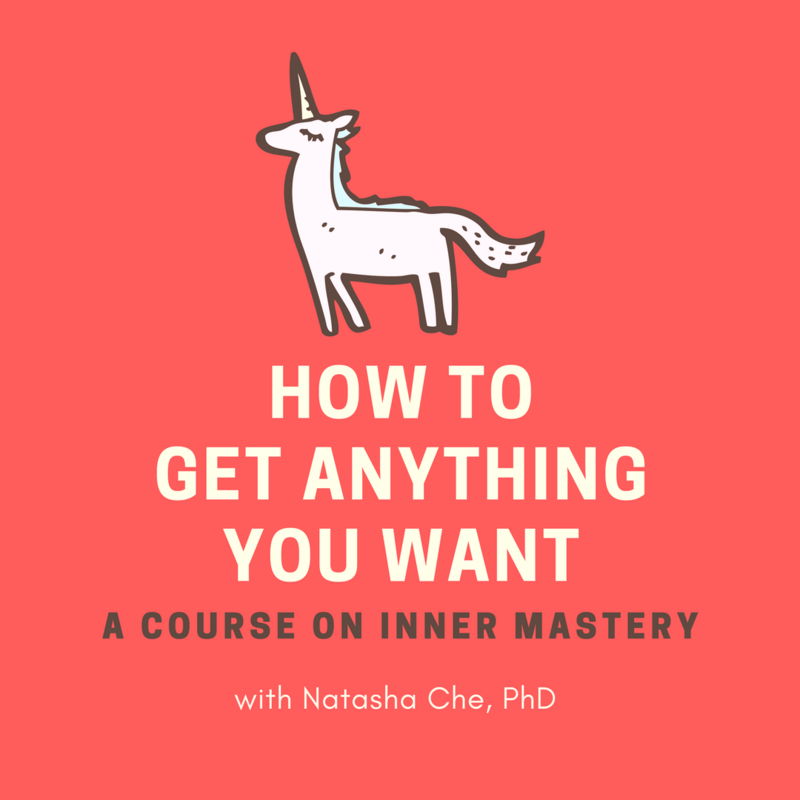 1) The “make it go away” approach, where you continue with the avoidance strategy that has worked so well in the past, distract yourself from what you feel, and push the energy/emotion out of your conscious awareness. If you choose this route, you’ll be essentially prolonging the lifespan of an old paradigm of living. It’ll make things a bit more comfortable for you in the short run, at the cost of slowing down your shift. 2) The “look it in the eyes” approach, where you acknowledge and embrace whatever energy/emotion surfacing from within you, stay present with it no matter how yucky it feels, and withhold judgment as much as you can. Admittedly, this approach takes a lot of courage and is not for the faint of heart. The benefit? You shift faster. Higher-self leadership means this: instead of looking at yourself and whatever situation you’re in from an ordinary human perspective, try standing in the shoes of your soul and lead yourself onward from that vantage point. Step 1: Stand back and embody, as fully as you can, your higher self— the God in you, the Universal Intelligence in you. Step 2: Communicate with yourself from that powerful position. E.g. ask yourself what you need, how you can help. Step 3: Respond to the situation and other people involved from the position of your higher self. For example, when I was going through lots of emotional ups and downs during my spiritual shift, my habitual response—from my smaller, human self—was to whine and self-criticize: Why me? Why can’t I get my act together and be more stable? Why am I such a failure? But when I stepped out of the immediate situation and saw it from God’s eyes, things looked very different. I saw myself as this precious, beautiful child acting out because she was scared. I knew that love and reassurance, not criticism and restraints, were what she needed. From that higher perspective, I was able to give her lots of love, because I had an infinite supply of love. I was able to ask her, like a patient parent would, how I could help to make her feel better, and then listen. And I was able to reassure her, with absolute certainty, that she’d be ok. She calmed down, not because I forced or coaxed her to, but because she knew she was now in good hands. If I made it sound like this was easy, I apologize. Most of us have spent our entire life taking on the point of view of a small, ordinary human. And naturally, the more you do something, the better you’re at it. That’s why complaining, self-pitying and self-judgment takes me no effort at all— I’ve been practicing them all my life! In contrast, assuming the vantage point of God is hard, since I haven’t had nearly as much practice. But again, the fact that you’re going through or have gone through a significant personal transformation means you’re ready to step into this next paradigm. You are ready to, or at least beginning to, live as your higher self. The process of this amazing re-union has its own timing and takes quite a bit of magic and grace, which is something not in your control. But before the heavens do their part, you can always help things along by choosing to keep your end of the bargain, i.e. by practicing living as your bigger self and walking in those bigger shoes of yours as much as you can.